Kids love getting letters from Santa at Christmas time, and it’s a great way to remind them that Santa is watching to be sure they’re on their best behavior and deserve to be on his Nice List. But Santa Claus doesn’t just watch your kids during the holidays. He’s got an eye on them all year long, cheering their accomplishments and worrying when they run into troubles. So why not make sure your kids know Santa is always watching? Sending postcards or notes from Santa Claus throughout the year is great fun for kids and parents. It’s easy! To send notes or postcards from Santa, you can either make your own cards, look for appropriate designs on sites like Zazzle or go to Santa’s Official North Pole Mail to find specially designed postcards from Santa. You can send these cards at any time of the year, but there are some special occasions you might want to recognize. For instance, if you only plan to send one card during the year, a birthday is a great time to do it. 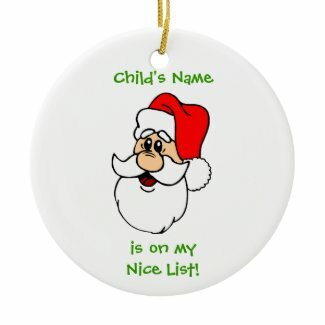 It’s the perfect occasion for Santa to send his congratulations on turning another year older and to let your child know if they’re going to be on the Nice List based on their behavior to this point of the year. It will add a lot of fun to your child’s birthday. Summer Break is another great time to send a postcard from Santa because it’s halfway through the year. You might want to let the kids know how Santa and Mrs. Claus are spending their summer vacation and, as always, remind them to be on their best behavior so Santa can bring them presents instead of coal. 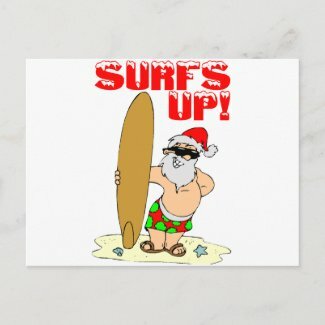 If you want to send additional Santa postcards, holidays like Easter, Fourth of July and Halloweens should give you plenty of opportunities to be creative, and you might also want to think about sending cards for other occasions, such as starting the school year, winning a sports game, or learning a new skill. There are plenty of ways to have fun with Santa postcards all year long, so let your imagination run wild!